This paper examines dynamic measures of growth inclusiveness derived from growth incidence curves. These curves help identify the extent to which each decile of households benefits from growth. The paper discusses the main features of growth incidence curves, their design, computation, data requirements, and interpretation. The use of growth incidence curves is illustrated in application to the case of Senegal. 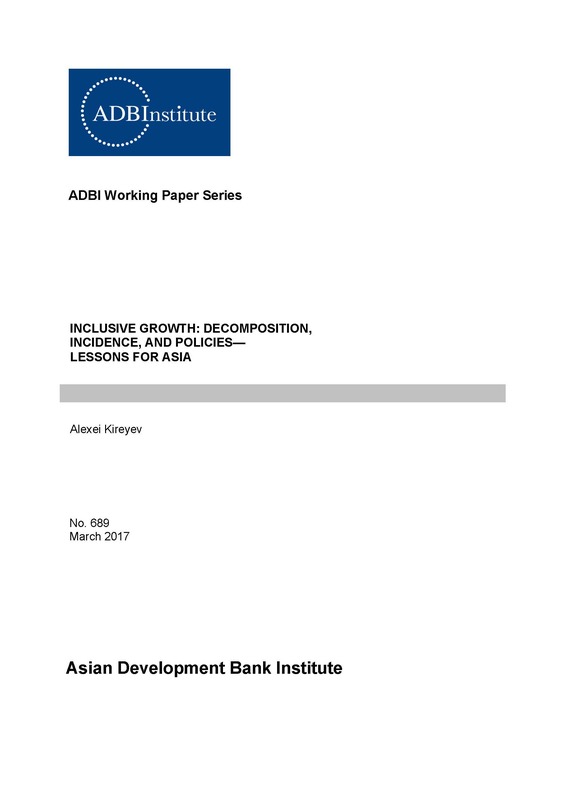 The paper concludes with policy recommendations derived from the interpretation of growth incidence curves and the case study, which can be applied to Asia, in particular its low- and middle-income countries.